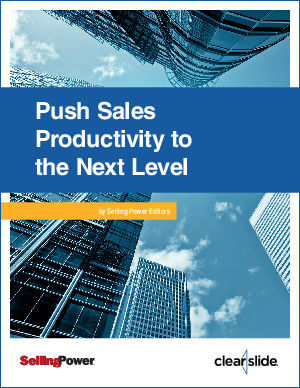 To build a successful sales engine, B2B sales leaders must continually find ways to get higher levels of productivity from their salespeople. New insight about this timeless challenge is emerging, thanks to a confluence of trends in selling, buying, and sales-enablement technology. Download 'Optimizing Sales Engagement: Selling at the Speed of Change' to explore how effectively sales organizations are dealing with change.